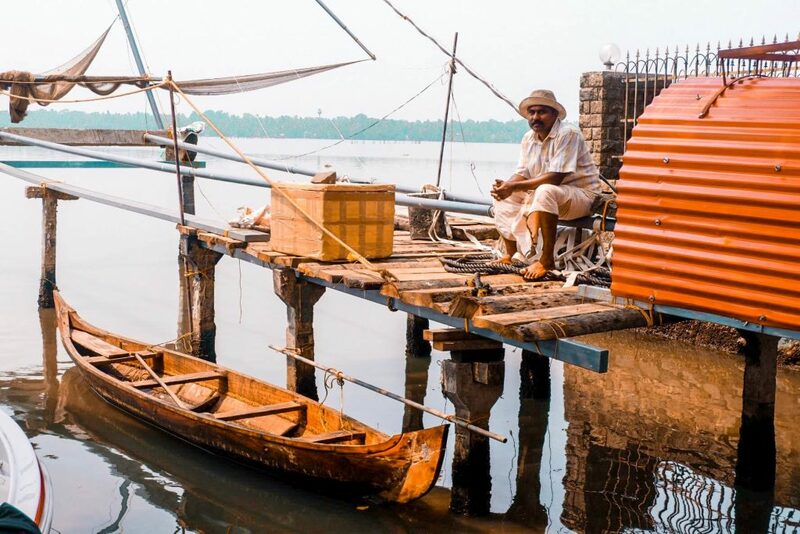 Kochi, sometimes referred to as Cochin, is one of the busiest and most significant ports in the world. It is located in Kerala, a Southern state of India. Kerala is known as one of the best places to receive authentic Ayurvedic treatments. Back to Kochi, it has long been an important center of the world trade, especially for spices. It is also now one of the top tourist destinations in India. 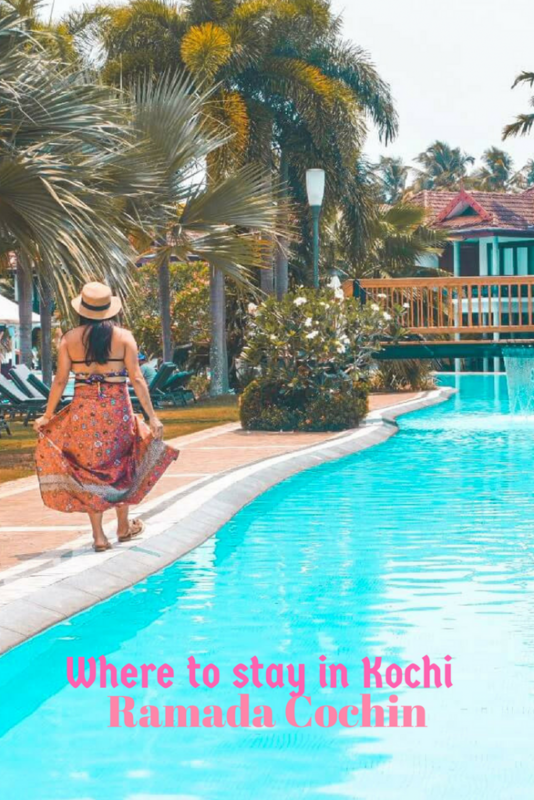 Kochi, Kerala is situated along the backwaters. For reference, backwaters pertain to the freshwaters coming from lagoons and lakes meeting the seawater of Arabian Sea. The waterscape with lush green bank plus the classic Kerala houseboats are surreal. In Cochin, Kerala, one of the top recommended hotels is the Ramada Hotel Kochi. It is a five-star hotel with an overlooking view of the backwaters. We spent two nights here to take a break and chill after our Kerala Blog Express tour. It is at least one and a half away from the Cochin International Airport. It is also near many interesting places to visit too, like temples and mosques. Ramada Hotel Kochi is located in P V Sreedharan Road, Kumbalam South, Kumbalam. From Cochin International Airport going to the hotel, it will take at least one and a half hours. The hotel can arrange your shuttle service but for an additional fee. An Uber can be a cheaper alternative which can cost more or less INR 800 (Php 641.18). 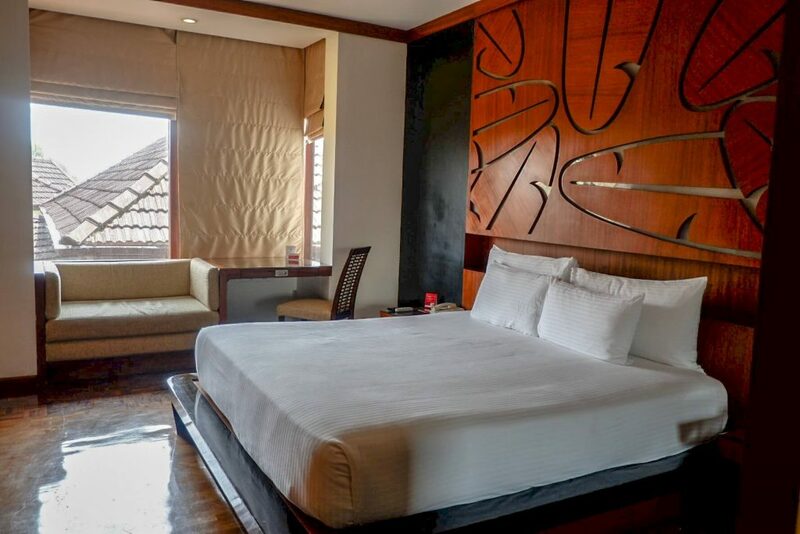 The Ramada Hotel Cochin features 58 suites which generally have an earthy theme and warm vibe. Basic facilities of the suites include flat-screen TV with satellite channels, minibar, fridge, coffee and tea makers, and, kitchen. The bathrooms are complete with toiletries, bathtub, and shower cubicle with three shower heads. 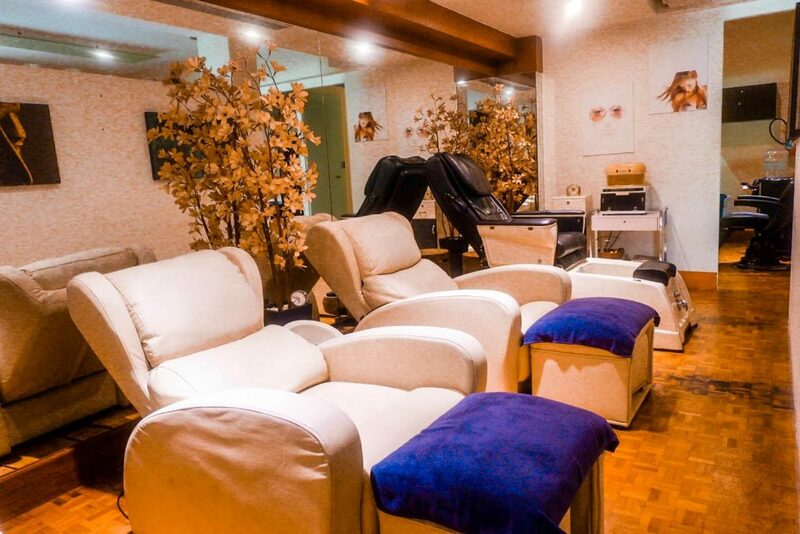 The rooms also have a massage chair and the works! They know how to spoil their guests. 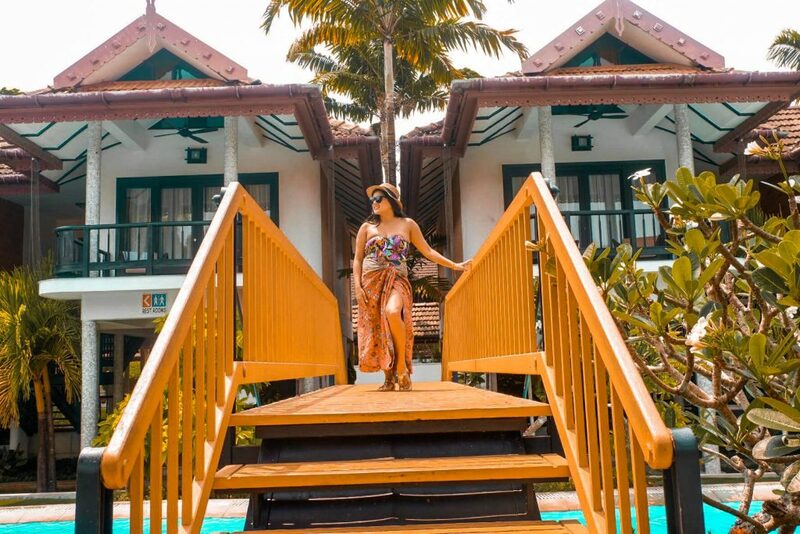 They have six different room types, namely, cottage room, superior room, luxury suite, luxury lake view suite, junior suite, and presidential suite. Cottage rooms are located right in front of the river pool. The view of the sunrise from the balcony is amazing. Definitely a good place for honeymooners. Also, all cottages are smoking rooms. 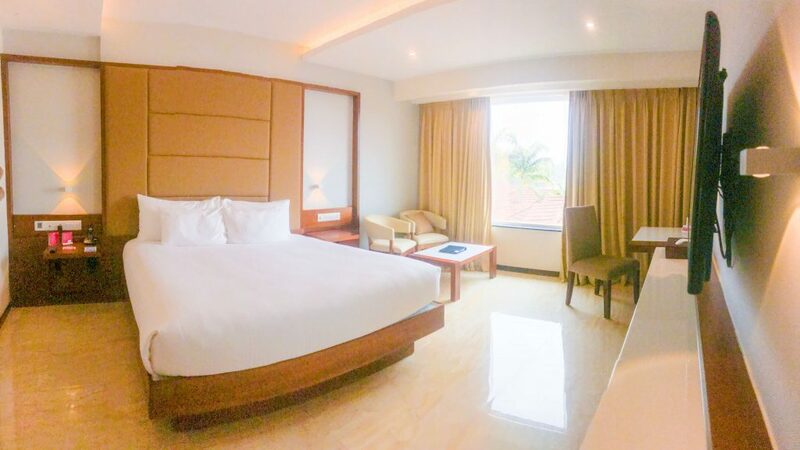 Bigger suites are the luxury suite, luxury lake view suite, junior suite and superior room. The superior room though seems to be a bit away from the waterscape since they are located in the main block of the hotel. Presidential Suite is surely the best. Wish I could have stayed there. It is complete with two sets of bedrooms with 42’ inch HD TV, two sets of the bathroom with bathtub, shower area, and Jacuzzi, living room space, also with 50’ inch HD TV and dining area. The Mexicana is one of the in-house restaurants of Ramada Hotel Cochin which specialized in serving TexMex cuisines. Basically, it is a fusion of Mexican and American cuisines. 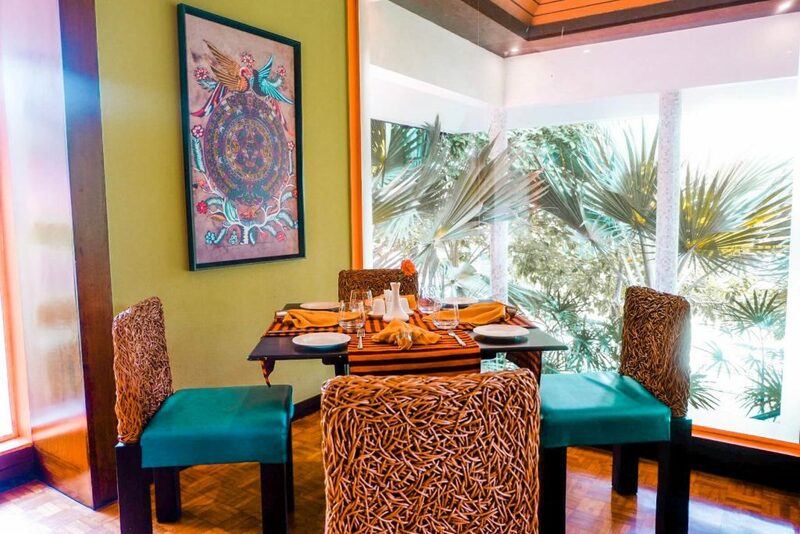 But, of course, it has that touch of Indian as well as Spanish and Portuguese influences. On their menu, The Mexicana serves nachos, empanadas, tacos, burritos, soups and salads, enchiladas, quesadillas, steaks and more. For the dessert, they have tres leches cake, churros con chocolate, coffee brulee, ice cream and pecan pie. Average costs for a meal for two can be at least around INR 1,200 (Php 961.47) plus tax. They are open from Mondays to Fridays, 7 PM to 11 PM. 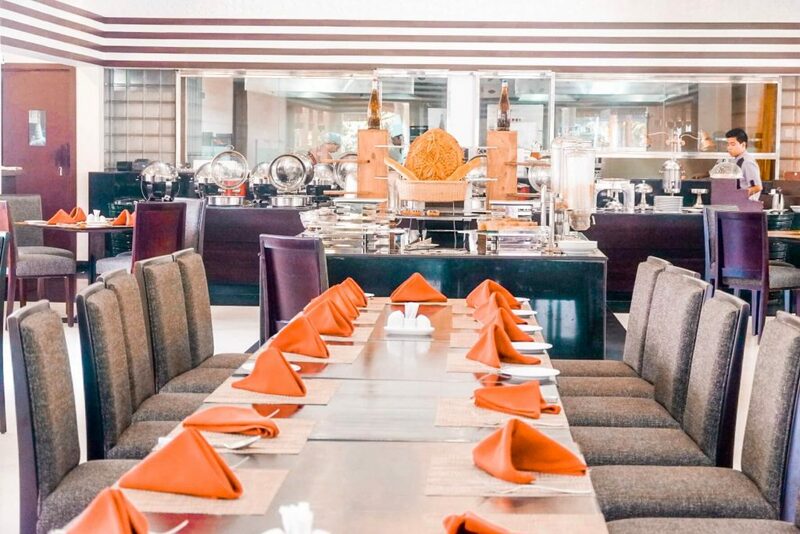 Fennel Multi-cuisine restaurant is the main in-house restaurant of the Ramada Hotel. This is where we had our breakfast, 7:00 AM to 10:30 AM. For around INR 900 (Php 721.10) plus tax, you can already try their lunch and dinner buffet on Sunday and Saturday. They offer a wide selection of food from continental to their local and coastal cuisines. Lunch starts at 12 NN to 3:30 PM and dinner at 7 PM until 11 PM. On regular days, you can order from their a la carte menu We tried their pastas, at this point, I wanted a bit of western food already since we had indian food everyday. Teresa ordered the pesto while I did the arabiata. We loved both pastas. 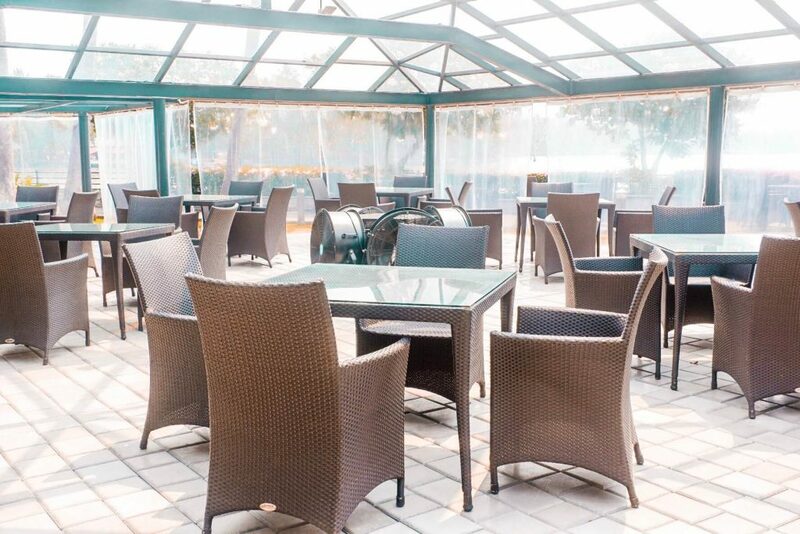 Pearl Spot is a seafood restaurant in the Ramada Hotel with alfresco setting and view of Kumbalam Lake. The price range of their seafood platters plays around INR 1,200 to INR 2,900 (Php 961.47 to Php 2,323.54). They are open from 7 PM until 11 PM. Club 11 Hundred is the main in-house bar of Ramada hotel. They have a wide selection of drinks as well as finger food. They are open from 11 AM until 11 PM. The price for cocktails starts at INR 600 (PHP 480.73), their pint of beers costs roughly INR 200 (Php 60.24) and a serving of a finger food starts at least around INR 300 (PHP 240.37). Strokes is a mini bar by the pool in Ramada hotel. Actually, it is a sunken pool bar. This space allows the guests to sit and relax in the pool, enjoy the beautiful view of the lake, and enjoy your favorite drinks. One of the main highlights of the Ramada Hotel is its swimming pool with an unobstructed view of the backwater. The design of the swimming pool is interesting too, as it resembles a river. It measures approximately 105 meters long. That makes it the longest man-made pool in Kerala, India. The pool is 3 to 5.5 feet deep. There are areas for your toddler to play and swim too. 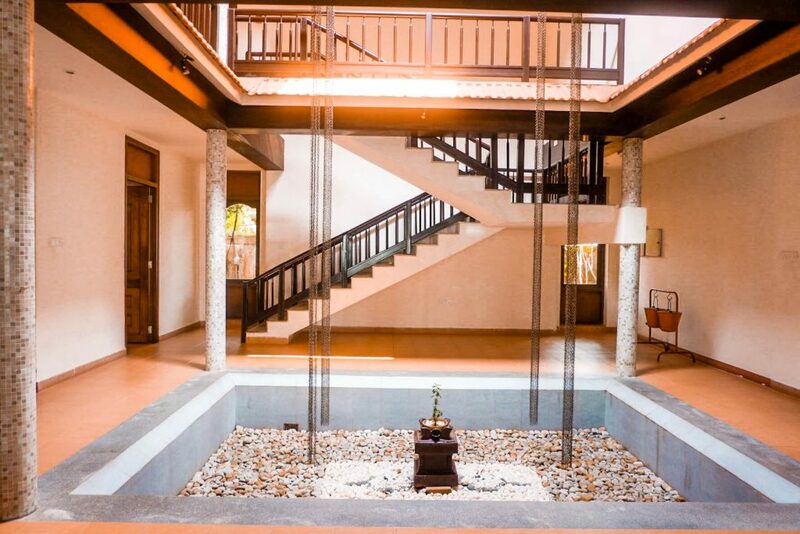 Southern Kerala, India is one of the best places in India where you can receive authentic Ayurvedic treatments. They supply the natural ingredients needed, has the right climate and, definitely, has the relaxing view to backwaters. If you’re not familiar with Ayurvedic treatments, it is one of the oldest healing systems that delve into the whole aspect of our being, basically, our body, mind, soul and social being. We had the 45 minutes basic massage Ayurvedic. It was exactly what I needed after 15 days of being on the go with Kerala blog express. Ramada Hotel also has a separate western Spa facility that offers facial and body treatments for your skin and face and body massages. Their fitness gym is complete with cardio machines, weight lifting equipment and multigym machines. They are open from 6:30 AM until 8 PM. 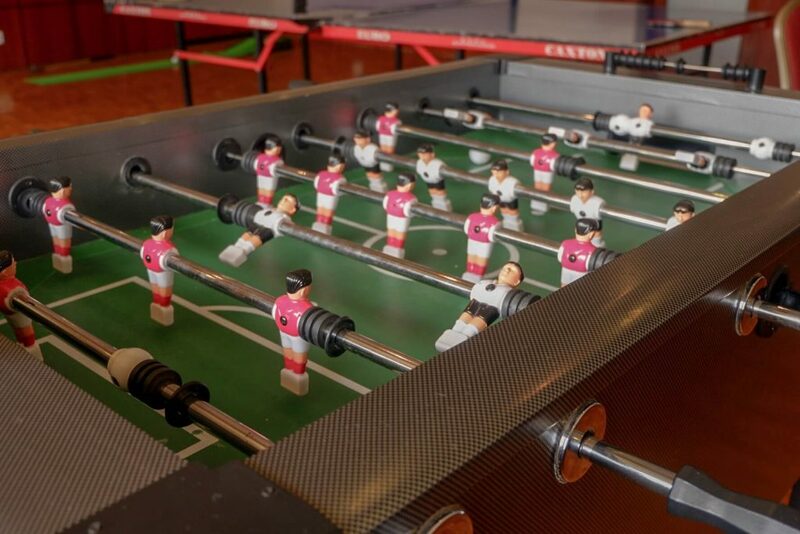 For indoor activity, they have foosball and table tennis equipment. Ramada hotel can assist you in arranging sight-seeing trips around Cochin like some of the important Temples and Mosques nearby. Nearby, you can also go for scuba diving, stand up paddling and kayaking. Rentals for kayaking and stand up paddling costs around INR 1,300 to 1,800 (Php 1,041.92 to Php 1,442.66) per hour. You can also go for a speedboat ride to tour around the backwaters at a reasonable price too. Ramada Hotel Kochi is a bit isolated, but it’s pretty self-contained. The hotel is a bit away from the city proper and from the main road. When you go around the city from the hotel, your transportation expense, let’s say via Uber, can cost at least INR 500 (Php 400.74). But, having your staycation in the Ramada Hotel sure is going to be worthwhile. They really have interesting amenities, superb services and suites with scenic views. They provide plenty of choices when it comes to food and drinks. The cottage rooms with balcony are well thought of and have a good spot to view the backwaters and sunset. The speedboat ride they offer for an additional fee is one of the best ways to explore backwaters. 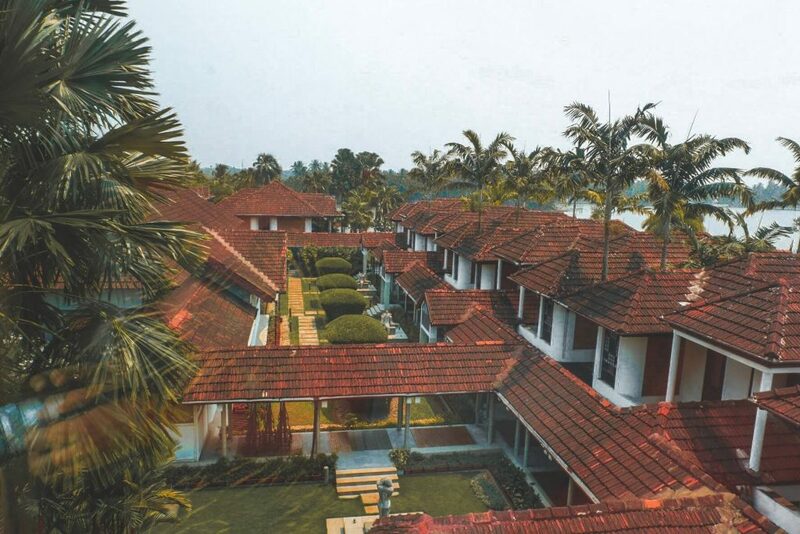 Ramada Hotel Kochi did a great job as well in pampering the guests through the relaxing view, river-like pool up to the Ayurvedic treatment facilities. You have done a wonderful job showcasing the Ramada Cochin. It looks very nice with a well equipped breakfast and spa. All of the property looks immaculately clean. I can see why the pool is a highlight, I would love to laze around in it, and especially like the river feel to it, I don’t think I would leave it 🙂 – Nice that the Ramada provide help for booking activities too. I also love that it was heated so we could swim even at night and not freeze. It was really lovely . I love the look of the longest pool! That must be great fun. I’m surprised there are such a thing as ‘smoking rooms’ and to be honest, I find that a little off putting. Is the hotel full of smoking areas? this is a part of the world I have never been to -but I am truly in need of Ayurvedic treatments right now so it sounds perfect! Now that is a beautiful place to stay in Cochin. We have been there but I would have loved to go to that Mexican restaurant and swim laps in that pool! The rooms look so comfortable. Definitely alot of western style pampering in India which sometimes you need to enjoy something more familiar to home. I love to hear about the Kerala Express adventures. This Ramada Inn looks incredible. Such luxury. Just by the lakeside, what a wonderful location! The longest man made pool too sounds great! Almost like a river as you mentioned. Great place, I would love to holiday here. 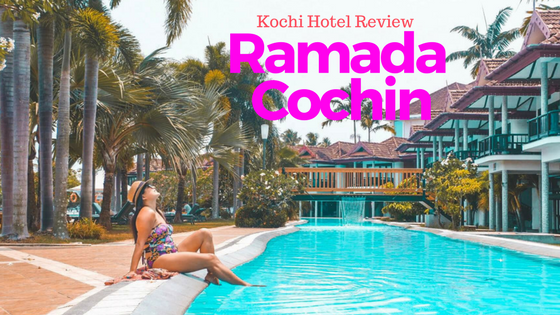 The Ramada Cochin seems to be a very luxurious place to stay and rest from travels. At the end of a long trip, especially, this would be a wonderful way to wrap up a visit. I loved the wood accents in the room, and massage chair, too. 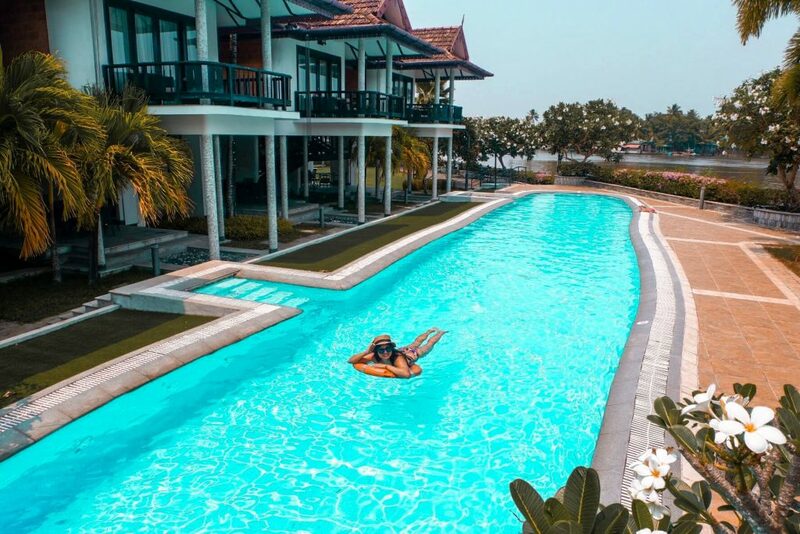 The pool that is more like a river would be my favorite place to hang out, especially with those incredible views of the backwaters! Ramada is one of the finest hotel in Cochin and one should always consider visiting this hotel during their trip to Cochin. I really love the luxurious suite and amazing pool. A perfect hotel for weekend getaways and vacations.